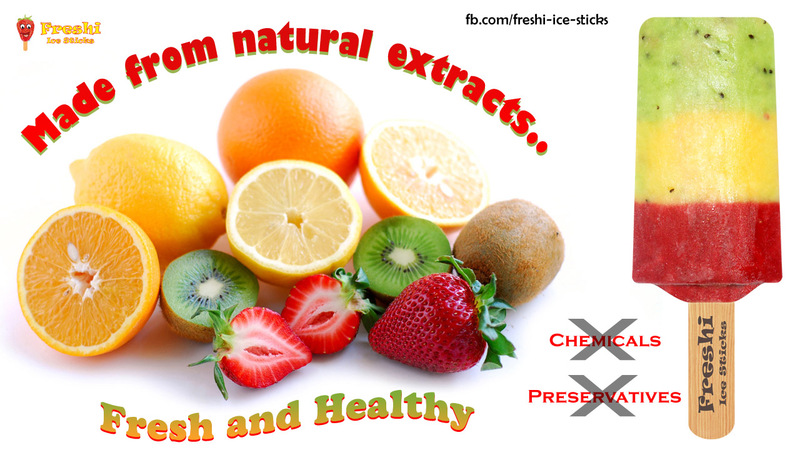 Freshi Ice Sticks is free from Preservative and Chemicals. So that you can eat Fresh Natural every time. It is the best Ice alternative to Ice Cream available in the town.